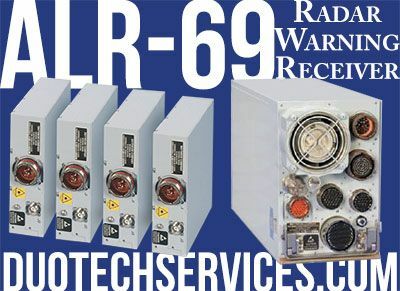 The ALR-69 is a radar warning receiver that detects and sources potential radar detection threats in a combat environment. The ALR-69 is highly effective at identifying friend or foe (IFF) even in a dense signal environment. The ALR-69 is operated worldwide on several different platforms, including the A-10, C-130, F-16, and MH-53. Duotech has extensive test and repair capabilities for the ALR-69. Duotech is AS9100C certified and is an Air Force qualified repair depot.